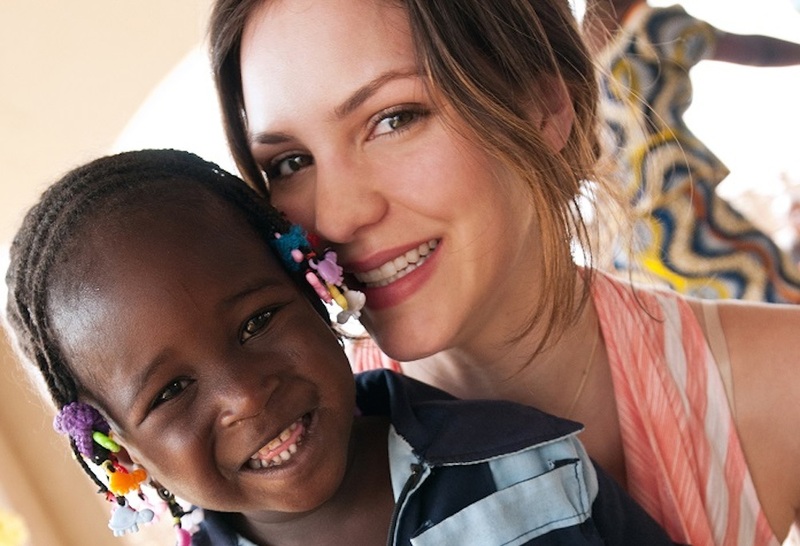 In 2006, Katharine McPhee used her voice to launch a successful music and acting career, and today she is raising her voice to help others. buildOn is thrilled to have Katharine serving as a buildOn Ambassador. buildOn Ambassadors are members of the entertainment industry who are lending their voices as leaders in our movement to help break the cycle of poverty, illiteracy and low expectations through service and education. After traveling to visit family members who were helping to build a preschool in the West African nation of Burkina Faso, Katharine was inspired to build schools of her own with buildOn. “I believe giving people an education can break ignorance and inspire them to move forward to unlimited possibilities,” Katharine says. Visiting family members who were helping to build a preschool in Burkina Faso motivated Katharine to build schools of her own with buildOn. Burkina Faso has one of the lowest literacy rates in the world, with 73% of its population illiterate. Her passion for providing educational opportunities for others prompted her to fund the launch of buildOn’s expansion to Burkina Faso. By funding schools through buildOn in Burkina Faso, Katharine knows that she is not only giving people access to education that they might not otherwise have, but that girls will be sent to these schools in equal numbers as boys. Before any village or community breaks ground on a buildOn school, they sign a covenant promising that the total number of girls at their school will meet or exceed the total number of boys. This promise of gender and educational equality is incredibly important to Katharine. “Women are unique in the skills they bring to the world, and women deserve an equal chance to express those skills,” Katharine says. 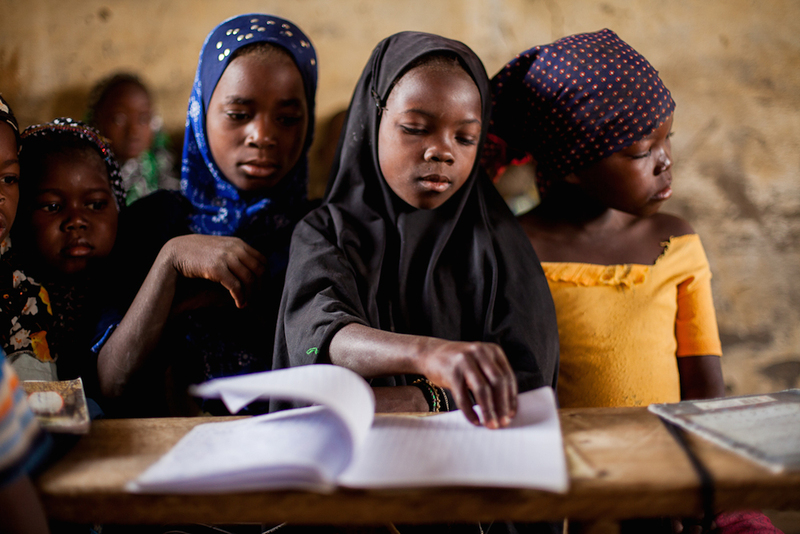 By being granted the same access to education as males in their communities, the girls and women of Burkina Faso are taking the the first step in getting an equal chance to showcase their skills. A young girl leafs through a notebook inside the first buildOn school built in Burkina Faso in Taga Village. To find out how you can help fund a school like Katharine in Burkina Faso, or in another of the world’s economically poorest countries, click here.